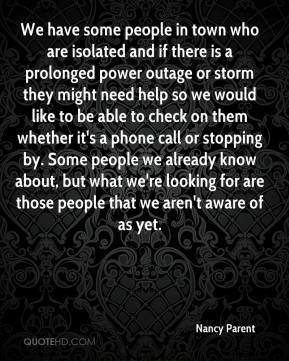 We have some people in town who are isolated and if there is a prolonged power outage or storm they might need help so we would like to be able to check on them whether it's a phone call or stopping by. Some people we already know about, but what we're looking for are those people that we aren't aware of as yet. 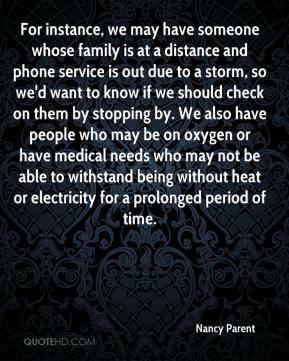 For instance, we may have someone whose family is at a distance and phone service is out due to a storm, so we'd want to know if we should check on them by stopping by. We also have people who may be on oxygen or have medical needs who may not be able to withstand being without heat or electricity for a prolonged period of time.